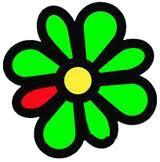 ICQ is an instant messaging application developed by Mirabilis and then bought by America Online. ICQ features include file transer, easy login, multi instance support, Google talk, user profile, audio & video, messaging history, facebook chat, take a picture, add friends.... and moods. Here are some of the emoticons to express yourself and to have fun.